:: by the music researcher Paulo Cesar de Andrade. * This samba, originally titled O Destino Não Quis, was composed by Cartola and Carlos Cachaça for Mangueiras 1936 carnaval parade. 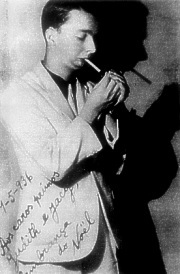 Another Mangueirense composer, José Gonçalves (aka Zé com Fome), added a second part and changed the title to Não Quero Mais. The disc label credited only Gonçalves and Carlos Cachaça, the latter erroneously identified as Carlos Moreira da Silva. Copyright © 20032018 Daniella Thompson. All rights reserved.